Amid the soaring oratory of Martin Luther King and the fiery rhetoric of George Wallace, scholars who worked with the Southern Regional Council during the civil rights movement spoke quietly, but with the authority of informed reason. Prominent among them was Professor Paul Gaston of the University of Virginia, who co-authored an influential analysis of school segregation, served as president of the SRC board, and authored The New South Creed. 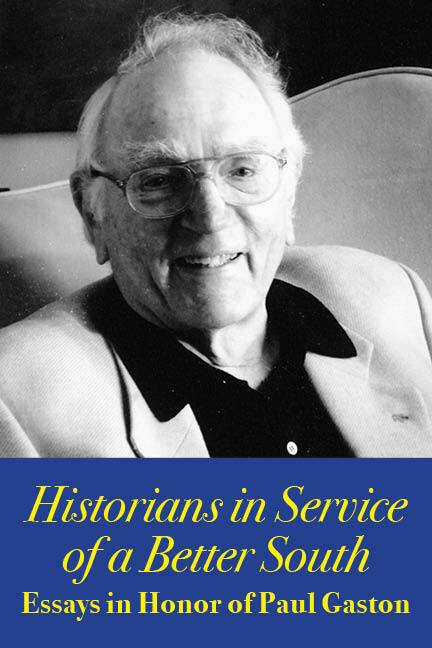 Gaston’s legacy of service includes his role as a mentor of historians. He oversaw more than two dozen dissertations at UVA from 1957 to the year 2000. These illuminated important aspects of the South and the civil rights movement while contributing to the growth of community and organizational studies within the field of social history. The articles in this Festschrift feature essays that he inspired among his students and colleagues.